Existing units come with solar panels, and some come with skylights. Select units include shared laundry facilities, so residents don’t have to factor in the costs associated with buying appliances and running them. Choosing Alchera means choosing peace of mind. Lifemark accreditation provides an independent check that retirement living communities are being operated in accordance with high service standards. 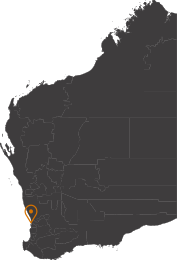 Alchera was one of the first village operators in Western Australia to obtain Lifemark accreditation. The accreditation goes beyond legislative requirements and takes into account our resident’s lifestyle needs and overall satisfaction. For more information on what Lifemark accreditation means visit bsi Group or Retirement Living. There are currently two accreditation schemes that operate in the retirement living sector: Lifemark and IRCAS. These two schemes are planned to merge into a single industry accreditation scheme. It is Alchera Living’s intention to transfer its Lifemark accreditation to the new scheme once implemented. Depending on your financial position or plans, it might be beneficial for you to buy into the village, or to rent. Whatever your preference there will be a unit to suit you. Alchera is a not-for-profit organisation with no shareholders and as such profits are directed back into the organisation which ultimately benefits our residents. Alchera has funded a range of items such as a Resident Liaison Officer and village improvements that enhance the lives of our residents. Enjoy a community with regular social gatherings at the social centre. You’re not just buying bricks and mortar, you’re getting a community of like-minded people coming together. Discover what else there is to do in the area at The City of Melville website. Alchera understands the importance of having amenities like shops, medical facilities, cafes and churches a short stroll away. The location of every village has been carefully chosen to keep you close to everything you need. When you need a friendly ear or a shoulder, or you just need some assistance, our friendly Resident Liaison Officer, is there for you to turn to. Living in an Alchera village community where neighbours look out for each other assists greatly with resident’s security. All Alchera villages take your safety very seriously. We have measures in place to keep you and your guests secure, including electric gate systems, security lighting, and CCTV. Resident parking is available in the villages with many parking bays being either garages or undercover parking. Some Alchera units are pet-friendly, subject to compliance with your village’s pet rules. To find out if your furry companion can join you at Alchera, give us a call today.